How does your institution provide for the comfort of its visitors? Does your site include a café or drink and snack machines? Do you have ample seating areas for some visitors to rest while others can continue to look around? A few of the smaller museums in North Carolina do not even have rest rooms. This is a huge audience-limiting factor. Families with small children will not feel welcome, and adults often experience a variety of conditions that necessitate restrooms in public spaces. 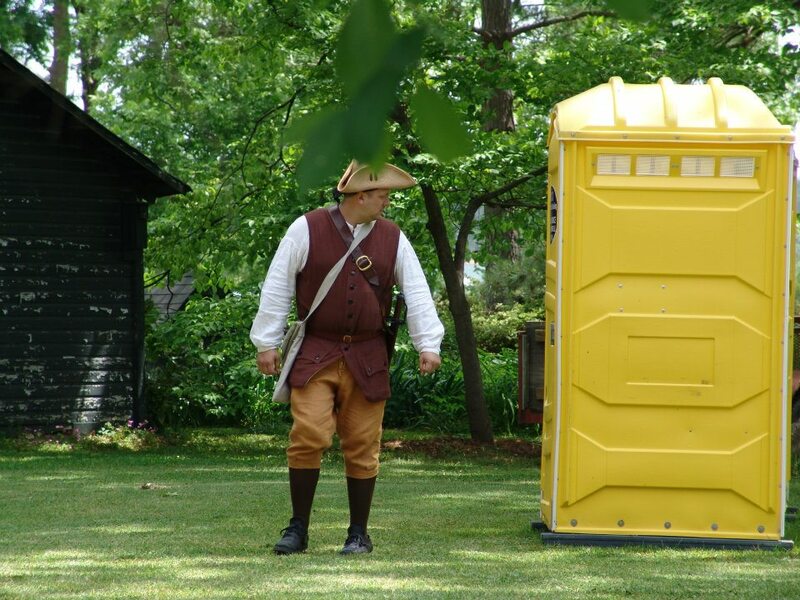 Portable outhouses can be a cost effective remedy for institutions without these facilities, especially for those museums which open their doors only once a month or so. Of course, “port-o-potties” are always an option to accommodate crowds at large public events. One visitor amenity that is relatively new on the museum radar-screen is nursing rooms. 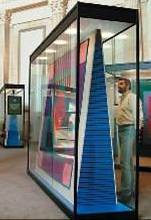 More and more children’s museums, science museums, and art museums offer these spaces. If your cultural heritage institution has a steady stream of families with young children, a nursing room may be an accommodation worth considering. Although this writer hopes that nursing mothers would feel welcome to feed their babies in most public spaces, a quieter, semi-private space–set apart from a museum’s main galleries–makes many nursing pairs more comfortable. Problems with latching on in the early months and easily distracted older babies can make public nursing troublesome for mothers. A restroom, unless it has a clean lounge area, is not an adequate space for mothers to nurse. Read here for an appreciative mother’s account of a recent visit to Marbles Children’s Museum in Raleigh and its nursing room. Try to keep the physical needs of your institution’s audience in mind as you plan for and improve your facility’s public spaces. Ramps, for instance, can enable access for visitors in both wheelchairs and strollers. (See ADA requirements, especially Title iii.) Well designed label copy and graphics promote legibility for most readers. What other provisions have come in handy to provide access for a variety of audiences at your institution? 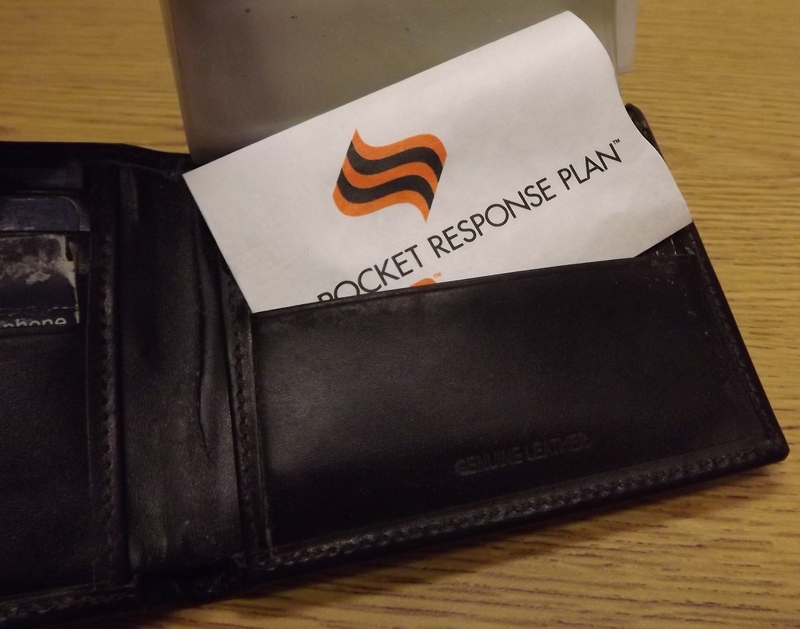 There is one tool that all members of your staff should have on them at all times for emergencies, and that is the Pocket Response Plan from the Council of State Archivists. This two-sided document folds up to the size of a credit card, making it easy to fit in a wallet or purse for maximum portability and convenience. The credit-card-sleeve-size envelope is made from water-resistant tyvek–an added disaster preparedness measure. The pocket response plan or PReP is available free of charge from the Council of State Archivists’ web site. 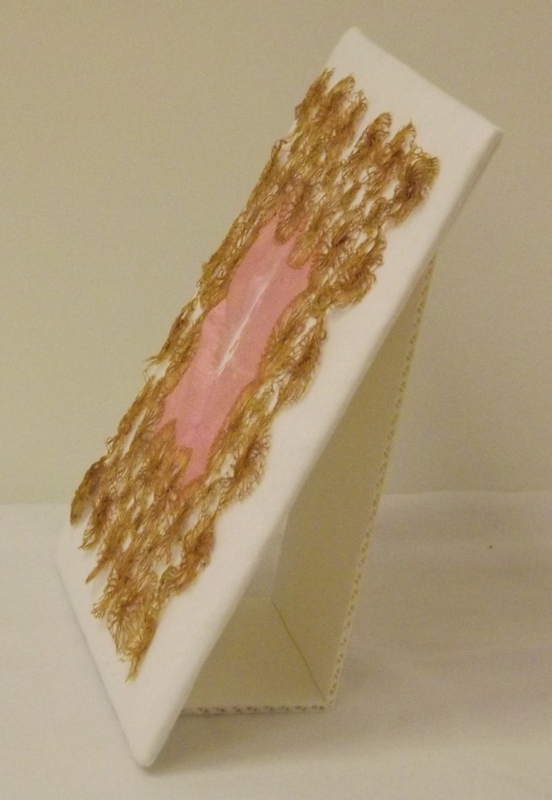 Envelopes are also available from the website for a small charge. All you have to do is download the word document and review your institution’s emergency response plan to identify the key individuals and organizations that should be included on Side 1 of the PReP and for instructions that should be included on Side 2. Consider each member of your response team and his/her assigned responsibilities in an emergency so that his/her PReP document can be customized to meet those specific needs. Side 1: On side 1 is an “Emergency Communication Directory”: contact information for staff, first responders, emergency services, utilities, vendors and suppliers, disaster teams, and other essential individuals and agencies. 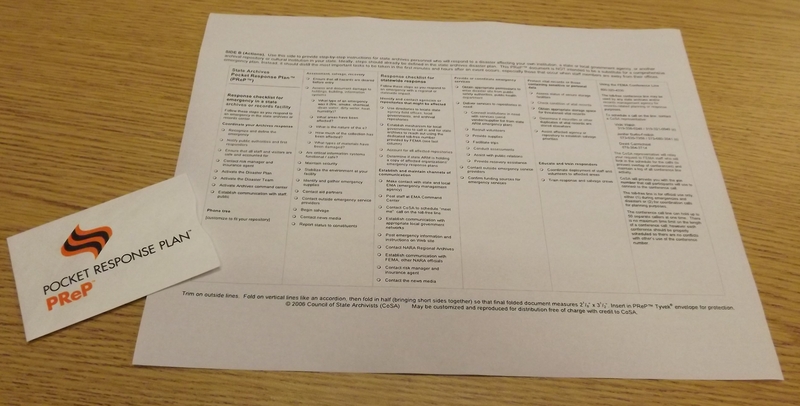 Side 2: Side 2 contains an “Emergency Response Checklist”: an organized list of those actions that each individual should take in the first 24 to 72 hours following a disaster. Remember the PReP is meant to complement, not to replace, an agency’s disaster plan. It ensures that managers and staff have the most essential information with them at all times. A well thought-out and tested disaster plan is a must for all institutions, and PReP is a good way to make sure staff members always have the contact information and basic steps ready and with them when needed. Also, much like your emergency or disaster plan, this too will need to be updated at least yearly. All too often emergency and disaster plans become “Bookshelf Fillers” and are not treated like the living documents they really need to be. What steps have you taken to ensure that your institution is as prepared as possible for a disaster? Consider attending one of C2C’s Disaster Preparedness workshops this fall for more ideas. Most museums preserve the memories of lives long lost. At times, the content of cultural heritage collections can overlap with those of natural history collections and focus on interpretations of the natural world. From now through September 30th, you have the chance to learn more about a topic of North Carolina’s past that relates to both cultural and natural history. Special Collections at UNC Chapel Hill’s Wilson Library is currently showcasing a collection of Carolina parakeet imagery and documents. 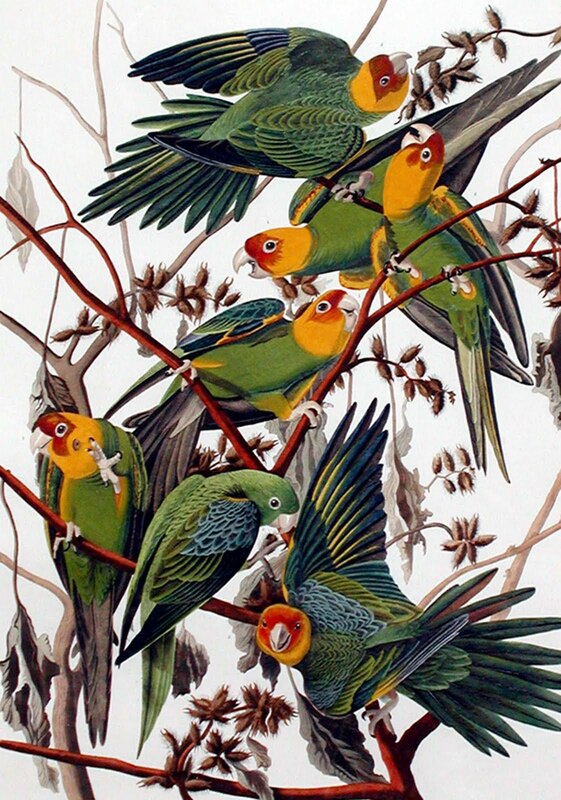 Gathered together by William “Bill” Powell, a retired Keeper of the North Carolina Collection at UNC, the Carolina Parakeet materials pay homage to a colorful avian species, once plentiful in the swampy areas of the Coastal Plain. The birds have been extinct in North Carolina since the turn of the twentieth century. The Parrakeetos are of a green Colour, and Orange-Colour’d half way their Head. Of these and the Allegators, there is none found to the Northward of this Province. They visit us first, when Mulberries are ripe, which Fruit they love extremely. They peck the Apples, to eat the Kernels, so that the Fruit rots and perishes. They are mischievous to Orchards. They are often taken alive, and will become familiar and tame in two days. They have their Nests in hollow Trees, in low, swampy Ground. They devour the Birch-Buds in April, and lie hidden when the Weather is frosty and hard. More than a century later John James Audubon documented this species in large-scale, beautiful hand-colored prints. The North Carolina Museum of Art has been exhibiting John James Audubon’s Birds of America folio books for some time. Now, thanks to a recent donation, the Museum of Forestry in Whiteville also has one of Audubon’s “Carolina Parott” prints in its collection. 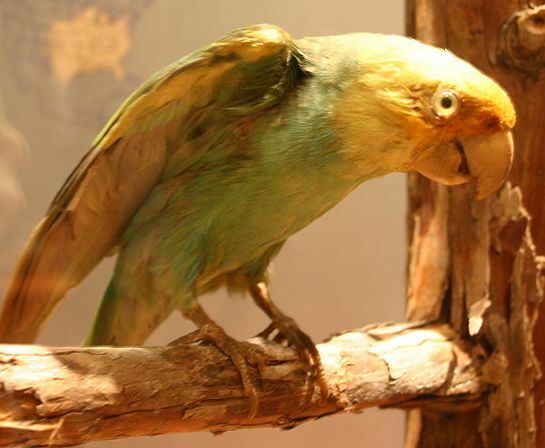 In addition to documents and imagery, several North Carolina collections include preserved examples of Carolina parakeets. Both the NC Museum of Natural Sciences and Duke University contain taxidermed specimens of this bird. This example in the Museum of Natural Sciences’ collection is on permanent exhibit. Does your collection include any references, through either artifacts or documents, to this extinct bird? 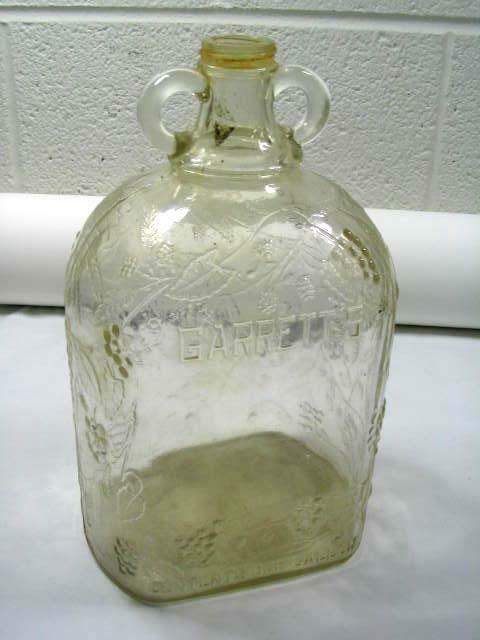 In honor of Virginia Dare’s 425 birthday tomorrow (8/18), it seems fitting to highlight some of the treasures of North Carolina cultural heritage collections relating to a product that perpetuated her name and memory—muscadine wine. Proponents of Prohibition, however, prevented North Carolina from fulfilling its “manifest destiny,” at least during the 20th century. In 1908 it became the first state to pass a Prohibition law, driving its most successful scuppernong wine producer, Paul Garrett, north to Virginia and later New York. 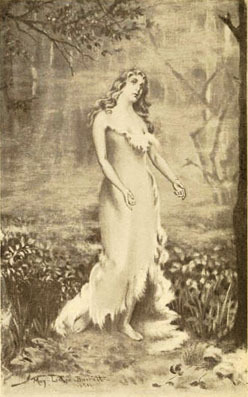 Perhaps influenced by Cotten’s book, Garrett began producing “Virginia Dare” wines. Still partially a scuppernong product, these wines enjoyed widespread popularity during the years surrounding national Prohibition, which forced Garrett to diversify into extract and flavoring manufacture. Whereas the “Virginia Dare” brand name endures on flavoring products, muscadine wine cultivation in North Carolina is a growing business. Duplin Winery now processes scuppernongs from clippings of the Roanoke Island mother vine for a new wine line. 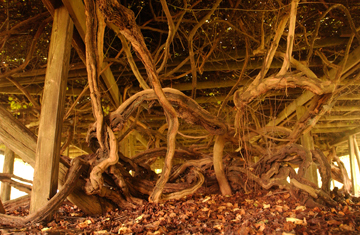 In addition, The winery’s museum collection reminds visitors of the area’s rich heritage of muscadine cultivation and wine production. Duplin and other area muscadine producers now sponsor the Muscadine Harvest Festival late September each year in Kenansville. Consider attending and tipping a glass to the memory of Virginia Dare. 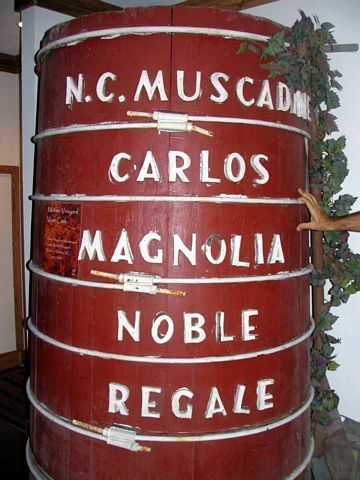 For more on the history of North Carolina wines, see http://www.nccommerce.com/wine/about-us/nc-wine-history and http://www.raleighbottleclub.org/index_files/ncwine.pdf. 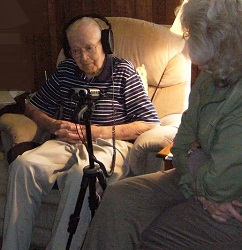 Many North Carolina cultural heritage organizations have amassed collections of oral history interviews. Some of these, such as the “Stories of Mountain Folk” project housed at the Hunter Library, Western Carolina University, now offer online access. Others have selected manageable numbers from huge collections to post online. For instance, the Southern Oral History Program at UNC Chapel Hill maintains 4,000 oral history interviews. With IMLS grant funding, Southern Historical Collection staff are currently selecting 500 of these for digitization and online posting. Digital technology presents plenty of opportunities and challenges for oral history collections. It opens up tremendous possibilities for access, even as equipment needs and preservation recommendations go through rapid obsolescence cycles. The Connecting to Collections online community recently featured a webinar on oral history projects with the latest techniques and advice. Click here for access. According to Doug Boyd, Director of the Oral History Center at the University of Kentucky, important questions to answer before your project begins include: whether you want to include video and if so, how much and whether to transcribe interviews or not. In Boyd’s opinion, it is good to have short video components of lengthier audio oral history interviews. Boyd has found it to be most cost effective to leave full transcriptions to researchers and to index by topic as thoroughly as possible in house. The Oral History in the Digital Age website, which Boyd and colleagues developed delves further into these explanations and hosts a tremendous variety of resources for conducting and preserving oral history projects. For oral history beginners, the LOC Veterans History project has instructions, advice on equipment, and permission forms. StoryCorps’ Do-It-Yourself guide is a 4-page PDF that you can download. Oral History and Public Memories, edited by Linda Shopes and Paula Hamilton (Temple University Press, 2008). 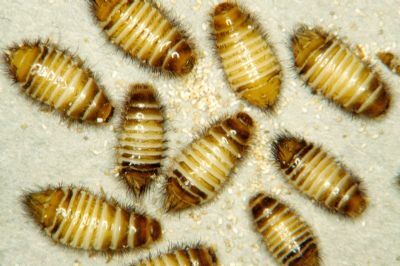 One of the most common and damaging heritage eaters in your building is likely the varied carpet beetle. Close regular inspections of your storage and exhibit areas will often yield these insects. Adult beetles often emerge from the darkness that the larvae prefer and move into lit areas. At a glance they are about the size and shape of a small mouse dropping. A closer look reveals a brown spotted pattern and a flattened underside. 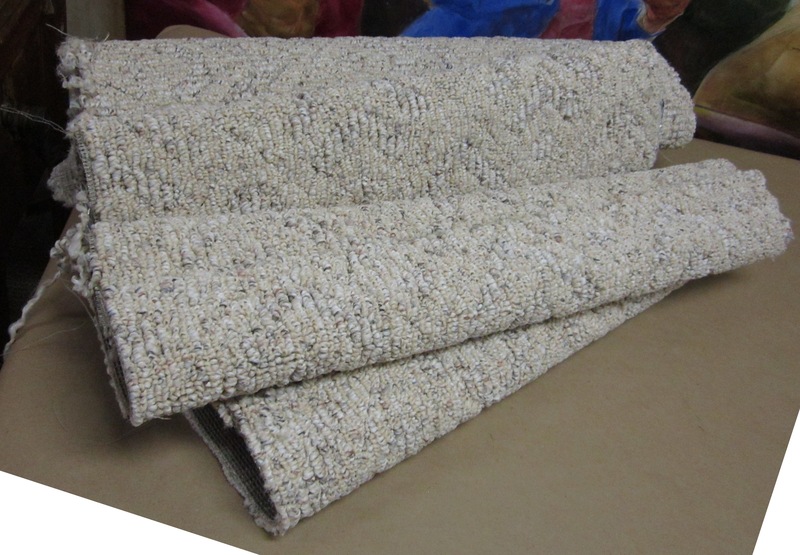 Although it may be a relief to find that the particle is an insect rather than rodent feces, carpet beetle lavae can destroy a variety of materials in your collection. Wool, leather, horn, and feathers are all attractive as larval feeding sites. There are two primary techniques to protect your vulnerable collection items. Vacuum! This process dislodges all stages of beetles and their leavings. Block! It may be helpful to seal up your building’s cracks and crevices, but it is unrealistic to believe that you’ll be able to block tiny pests in this way. Storage containers are a much more reliable preventative measure. If insect damage has been a problem at your institution, consider polypropylene boxes to store proteinaceous materials. Of course, vacuum before sealing in a storage container. Luckily, there is an expanding set of free resources on the internet to help you identify heritage eaters and strategize solutions to protect your collection. Several years ago Alaskan Conservator Ellen Carrlee posted an illustrated discussion of heritage eaters and helpful Integrated Pest Management guidelines for small museums. Additionally, Museumpests.net contains an image library that can be a great resource to help you identify the heritage eaters at your site. The site also includes fact sheets to give you specific information about each type of pest. 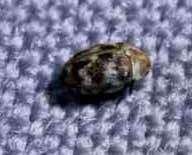 Click here for more about the varied carpet beetle. NC State University also has an especially strong arthropod identification program and entomology extension service. In contrast to the collection dangers they present, carpet beetles have a helpful role to play within institutions that collect bone specimens. Natural history museums, medical museums, and some anthropology museums can use these critters to their benefit in preparing bones for storage. 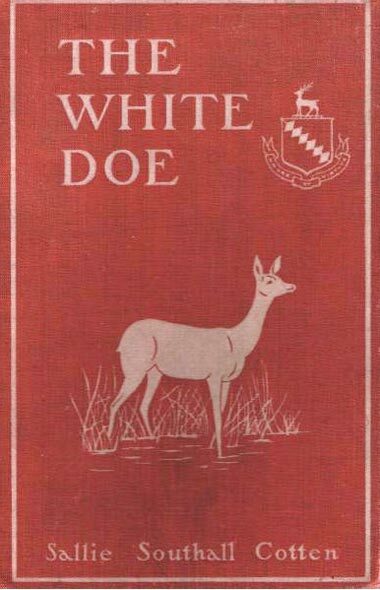 See page 3 of the National Park Service’s Conserve O Gram on vertebrate collections. By efficiently eating away all tissue remnants, the beetles leave bone specimens clean and ready for perpetual preservation. What other heritage eaters plague your collection? Which integrated pest management techniques have proven the most effective for your site? Specialized license plates in North Carolina identify the cars they mark with a variety of organizational emblems. Universities, fraternal organizations, NASCAR drivers, charitable foundations, and even a few museums raise money with specialized plates. Car owners pay $20 – $30 annually for each plate and these funds are divided between the fundraising group and the State. $10 per year for each license plate goes into a special state fund for building visitor centers, beautifying highways, and promoting tourism. As a result, most cultural heritage organizations benefit indirectly from the specialty license plate program. A few cultural heritage organizations have designed their own plates, gathered enough subscribers (300) to send the designs into production, and received donations of $10-$20 per purchased plate each year. The Department of Motor Vehicles’ list of 100 specialty plates includes two representing museums—the Maritime Museum’s “Protect Wild Dolphins” plate and a plate promoting the Core Sound Waterfowl Museum. As with most fundraising programs, the potential of specialty plates takes time to realize and effort to publicize. The Department of Cultural Resources gained legislative approval several years ago for another specialty plate to commemorate the Civil War Sesquicentennial. As of this posting, DCR has pre-sold less than one third of the 300 necessary to move the design into production and has had to extend the deadline for pre-sale. If enough license holders buy these plates, DCR will be able to promote the Sesquicentennial in a new way and have a recurrent funding source for commemorative events and State Historic Sites battlefield preservation projects. The Blue Ridge Parkway Foundation has been among the most successful beneficiaries of the specialty plate program. The Foundation has raised over 3 million dollars with its distinctive gold background and blue and green landscape design. According to Chief Executive Officer Carolyn Ward, “At a time when tax revenues are stretched to the breaking point, we have used this funding to build restrooms, boardwalks and other amenities that have made the parkway a more enjoyable and safer experience.” This recurring funding source, however, is currently in jeopardy as a result of a bill in the state legislature that would eliminate full color plates by 2015. The controversy may be taken up again by the State Senate in 2013. Has your organization considered the specialty plate program as a fundraiser? What plate designs are popular in your community? We thank Brandie Fields, Executive Director of the Orange County Historical Museum, for this guest post. The painting storage at OCHM bugged me ever since I started last September, and it came up again when I was planning for my inventory and internships this spring. 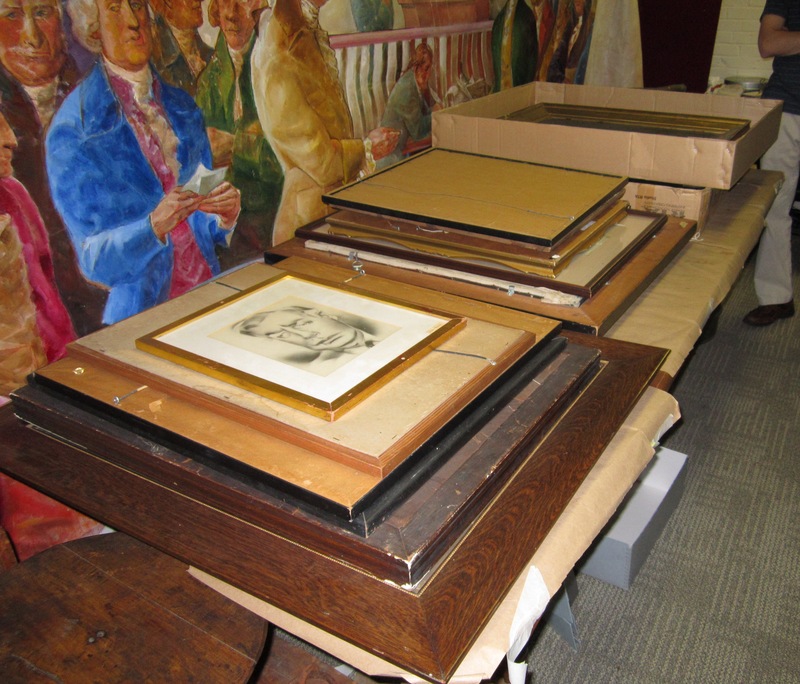 Jon Zachman, Curator of Collections at the Greensboro Historical Museum, had been kind enough to stop by for a visit and help me brainstorm for the inventory and expressed his concerns over the storage of the paintings as well. I knew that we needed the space and needed to do something different with those framed objects. That’s why I was glad that C2C’s Painting Workshop with Conservator Perry Hurt was coming up so that I could ask him the best way to store them. 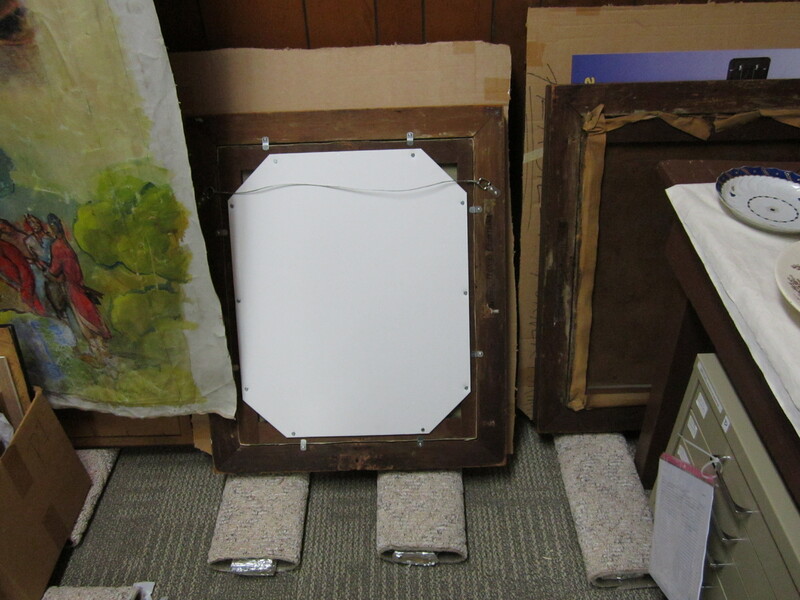 Hurt showed us how to store framed works upright, and when I explained my situation to him, he suggested making painting racks with carpet until I could get a storage unit. (Keep your fingers crossed for that NEH grant to come through.) So, after setting all of the pieces upright in a little-used corner of the room, I went about finding materials and constructing these racks during our spare time. 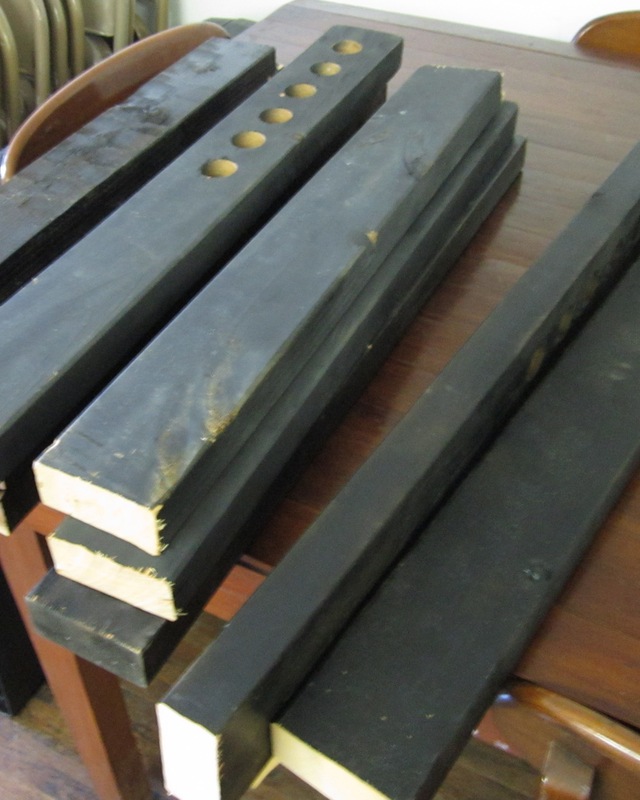 Wood– 2′ x 4’s Ours came from mysterious black posts I had found stored in the collection’s room (taking up A LOT of space). Turns out at one time they had been used to display textiles? I had a board member bring a saw and cut the bases off and the posts to ~ 2 ½ feet long. Carpet– I put out the call through our monthly e-newsletter for CLEAN carpet. Luckily one of my Board members recently did some remodeling. Foil– This was the only thing I had to buy. I wanted to put a layer of this between the wood and carpet, since I had no clue how old the wood was, what type it was, or what type of paint had been used on it. Staples and Staple Gun– Handy tool everyone should own, this is how we attached the carpet to the wood. Find Materials. I got lucky that we had most of the materials at the Museum and it didn’t take long for someone to come forward with some carpet. My backup plan was to find and beg local stores/companies that sell or install carpet. The only thing I had to purchase for the project was the foil. It wasn’t hard to find someone with a saw to cut the wood either, I decided on shorter pieces due to the space constraint in our collection room. Plus in the future, if I do get the painting storage unit I want, I can re-use the small pieces to make a platform for other collection objects. Remove hidden nails and cover with foil. I got 2 27sq. foot rolls from the local Dollar Tree and still have some left over. Measure and cut carpet. This was the most labor intensive/annoying part. We did not have carpet scissors or blades. We tried several methods, including box cutters, normal scissors and fabric scissors. My staff person decided that normal scissors, while cramp inducing, made a cleaner line and were easier to handle. We left ~1-2 inches more at the top and bottom. Initially we cut so that the carpet would wrap around itself, but when we began stapling we realized our staples were not long enough to go through 2 layers of carpet. After briefly considering tying them with twill tape, my staff person began meeting the two edges together and stapling them on the back side. So for the first few, the carpet bows out around the wood but once we realized what we were doing, we cut the rest to fit more tightly. So overall, I would say it took us 3-4 hours to cut, foil, and carpet 14 individual units. Total cost for project: $2.14 for the foil; the rest we already had/was donated.